the Greater Los Angeles area, the San Francisco Bay Area, the Central Valley, and San Diego. That leaves only a hand full of people for the rest, and only 2% of California's population (or 87,000 people) live in Mendocino County. 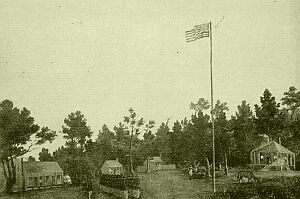 Fort Bragg, where Judy spent a number of years, only has 7,000 inhabitants, but for Northern California, that is a big city – the largest settlement along the coast between San Francisco and Eureka. 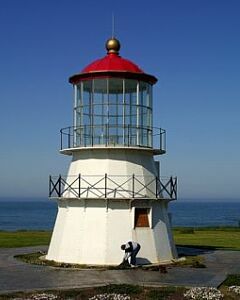 Until 2004, fort Bragg was the proud owner of the only traffic light on Highway One north of the Golden Gate Bridge. 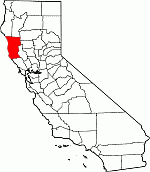 click here to get to the Mendocino County part of our California site. But if you are interested in the history of this area, stay here. For more than 8,000 years, three Native American nations, the Yuki, the Pomo, and the Wintun lived peacefully and undisturbed in this area. They all were decedents of the Hokan who came here in about 7,000 BC (that is four and a half millennia before the Great Pyramids in Egypt were built). The American Northwest was one of the last regions to be explored by Europeans and it wasn't until three centuries after Columbus' landing, that the people here were exposed to the "Gifts of Civilization." The first European to see this rugged coast was the Portuguese explorer Juan Rodriguez Cabrillo. 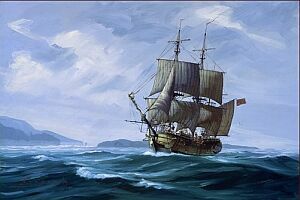 Cabrillo, who had started life as a shipbuilder's boy built his own ship and offered his services to the Spanish in Mexico. 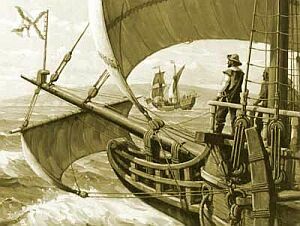 In 1542, he set sail from Acapulco and became the first European to sail along the California coast. He never landed anywhere north of San Diego, but he sailed as far enough to find the westernmost point of the California coast. 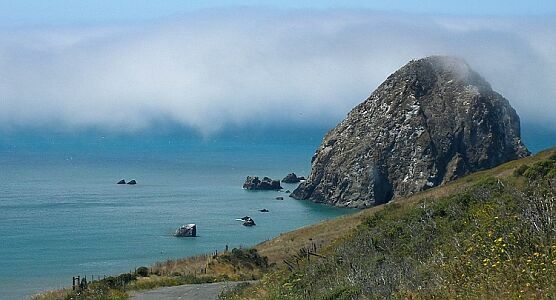 He named that point Cape Mendocino, in honor of Antonio de Mendoza, Viceroy of New Spain. XXXXXXXXXXXXXXXXXCabrillo on board his flagship, the "San Salvador"
The first white man to actually set foot in this area was most likely the British captain George Vancouver, who came to Trinidad Bay (a little bit further up north) in 1793 and is suspected to have left the first gift of the White Men: a cholera epidemic. Many other "gifts", like the small pocks epidemic of 1837, followed. Vancouver claimed the land for Britain (As did Francis Drake almost 200 years before when he landed near what is now San Francisco), but the British never enforced their claim and Spanish influence as well never expanded much beyond San Francisco. And so, nothing changed for another generation. XXXXXXXXXXXXXXXXXXXXXCaptain Vancouver's ship, the "Discovery"
The North remained one of the last "undiscovered" areas far into the 19th century. The only European country to establish a real presence in the area was – Russia! 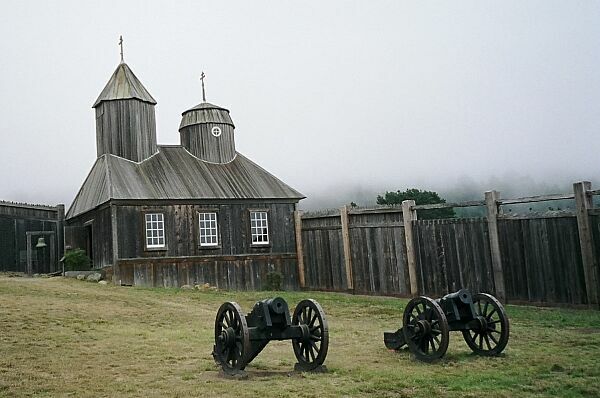 Between 1799 and 1820, the Russian-American Company established a colonial empire with forts in Hawaii and Alaska and in 1812, the Russians reached the southernmost point of their expansion and built Форт Росс just north of San Francisco. At this time the main business for white men in the area was fur trade, dominated by the Russians and by the British Hudson Bay Company. But in the 1820, the fur trade declined and the area was quiet again for another 20 years. Everything changed with the Gold Rush. There was no gold in this area, but the national treasure of Northern California, the Redwood forests, fell victim to the rush of thousands of people coming to California. In 1948, San Francisco was a tiny village with about 1,000 inhabitants – two years later it was a thriving city with 25,000 people. And all the new houses were built using Redwood from the north. The first sawmills in Mendocino County were built in 1852, and by 1880, there were thirty of them and it is save to assume that the saw mill owners earned a lot more gold than the diggers in the fields along the Sacramento River. 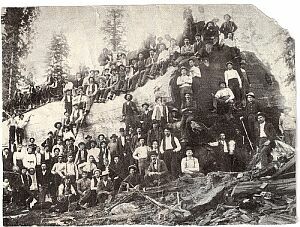 XXXXXXXAn entire lumber camp poses with a 26 ft diameter Redwood tree, 1898. It started as a seedling in the year 190 AC. At the end of the Roman Empire, it was already 205 years old! It was 610 years old when Charlemagne became emperor of the West and 876 years old when the Normans conquered England. When it was 1,302 years old, Columbus landed in America. It was 1695 years old when the first sawmill was built in Fort Bragg and lived for another 58 years until it was cut in 1943. 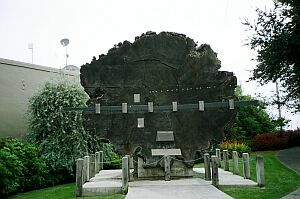 XXXXXXXXRemains of an almost 1,700 year-old redwood tree in Fort Bragg. Not only the land suffered from the invasion. 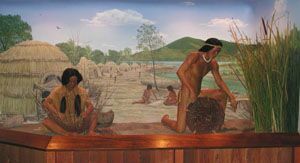 On lands that supported generations of different native populations with abundant game, fish, seeds, and other native plants, came settlers who realized the riches the land offered in farming, cattle, timber, and commerce. And this time, they came to stay and brought their own laws. In 1850, just one year after the beginning of the Gold Rush, California passed an "Act for the Government and Protection of Indians" forcing all Native nations onto reservations. Then, in 1852, the US Government passed an act that allowed military posts created for the relocation of Indians throughout the US and its territories and the fondation of Fort Bragg in 1857 opened a totally new chapter in the history of the county. Amongst other hardships, the relocation created California's very own Trail of Tears, when a number of tribes in the Sacramento Valley were marched to a reservation near Round Valley. One of the tribes, the Nome Lacka lost half of its members during the relocation. 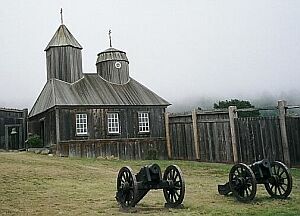 The relocations and a lot of local conflicts led to the Mendocino War of 1859/60. Later, a governmental report stated, that "in four months in 1860; more Indians of Mendocino County had been killed than in a century of Spanish and Mexican rule." After that, the California North was changed forever and, unfortunately, most memories of these "prehistoric" times have been lost. Our history books tell us about the great battles of the Lakota and Apache in the central plains, but the silent destruction of the California Indians has been all but forgotten. 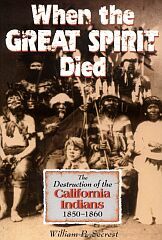 For more about the destruction of the California Indians, we recommend the book When The Great Spirit Died. If you came here from one of our "Hometown" sites, click the town's seal or name to get back.